Betty Ruth Dawson Haskew “Mamaw”, 91, of Tampa, born on Oct. 22, 1927 in Bramwell, West Virginia, entered into eternal rest on March 10, 2019. Katherine Ann Graves, 78, of Plant City, born in Oil City, Louisiana on Oct. 8, 1940, entered into eternal rest on March 11, 2019. 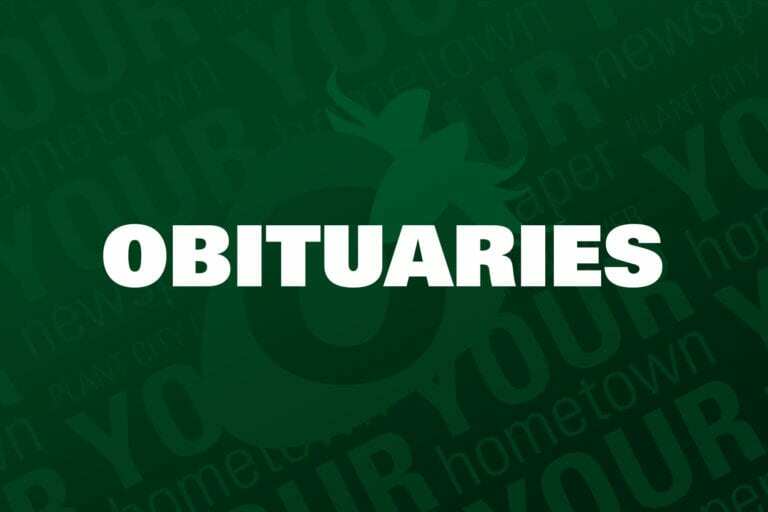 Sharon Kay Blanton, 62, of Plant City, passed away on March 12, 2019. Funeral services were held Saturday, March 16, 2019 at 11 a.m. at Haught Funeral Home. Online condolences maybe left for the family at www.haught.care. Betty Haney Sparkman, 85, of Plant City, born on Dec.17, 1933 in Plant City, entered into eternal rest on March 12, 2019. Gerald L. Hathcock, 58, of Valrico, passed away on Saturday, March 2, 2019. He was born on March 16, 1960 in Plant City. A 1978 graduate of Plant City High School, he served in the Marine Corps from 1978-1982. He is survived by his mother, Carolyn Roberts of Valrico; his sister, Pamela Britt, her husband Rob and their children Adam (Tiffany) and Dakota (Blair) of Birmingham AL; his brother Matthew Roberts, his wife Vickie and their children Amber, Tyler and Cassidy of Clayton AL; his son Anthony Leighton of Lakeland; his daughter Shauna Drawdy of Okeechobee; his grandson Luke and his granddaughter Shyla; as well as numerous aunts, uncles and cousins. A celebration of life was held March 15, 2019 at Wells Memorial in Plant City. Danny Leon Morris, 57, formerly of Plant City passed away Sunday, March 10, 2019. He was the loving father of two children. He served as a lineman in the United States Air Force for four years. He was employed at Belfor Fire and Water Damage Restoration Company for over 20 years. He was survived by his son Jacob Morris, 27, of Bradenton FL, his daughter Megan Morris, 25, of New Port Richey, the mother of their children Kelly Morris Dill of Lakeland, his parents Leon and Rachel Morris of Lake City, a brother Randy Morris of Evans GA, and sisters Raenette Cooper of Plant City and Rebecca O’Bryan of Evans, GA. He was preceded by his paternal grandmother, a brother Timmy Morris, and a sister Jenny Morris. There will be a memorial service on March 30, 2019 at Shiloh Baptist Church 905 W. Terrace Dr. Plant City FL in the original church building at 11 a.m. In lieu of flowers please send a donation to Heartland Hospice in Evans GA for donation info you may see family or call Heartland at 706-860-7374. Phillip Douglas “Phil” Roberts, 65, of Plant City, born on May 6, 1953 in Plant City, entered into eternal rest on March 18, 2019.